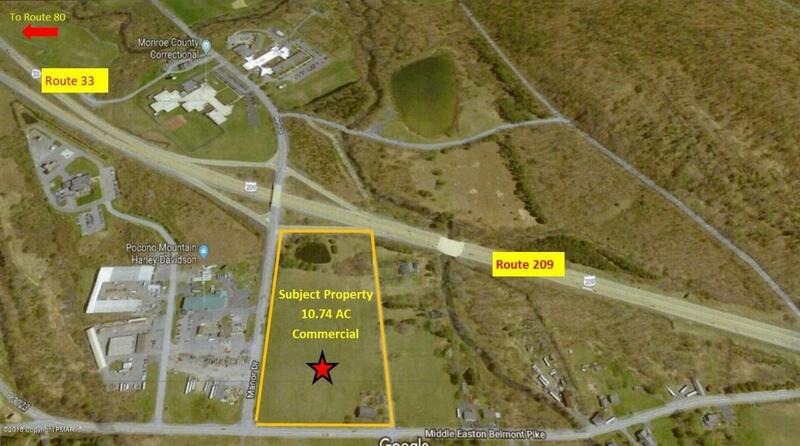 10.74 AC Commercial Development Site along Route 33 off the Snydersville exit. Available for ground lease or build to suit. Prior engineering work completed for a preliminary plan supporting a 35,000 SF medical building with expansion. Land is zoned Commercial with on-site utilities. ADT-40,000.